We at Swimming Pool Singapore, are the experts that you can always trust to deliver professional swimming pool refurbishment services in Singapore. With the many years’ experience and expertise that we possess, there is always a guarantee that your pool will be accorded the most stunning look and appeal for enhanced aquatic recreation. Our experts are well trained to refurbish both residential and commercial swimming pools to the highest standards that will perfectly suit your needs and lifestyle. Conducting proper refurbishment of swimming pools can be challenging to most people but we have the best tools, technologies, technicians and equipment to ensure that your pool is given the right design that you need. We have handled several kinds of swimming pools and understand what it takes to always create unique, efficient and long lasting pools. 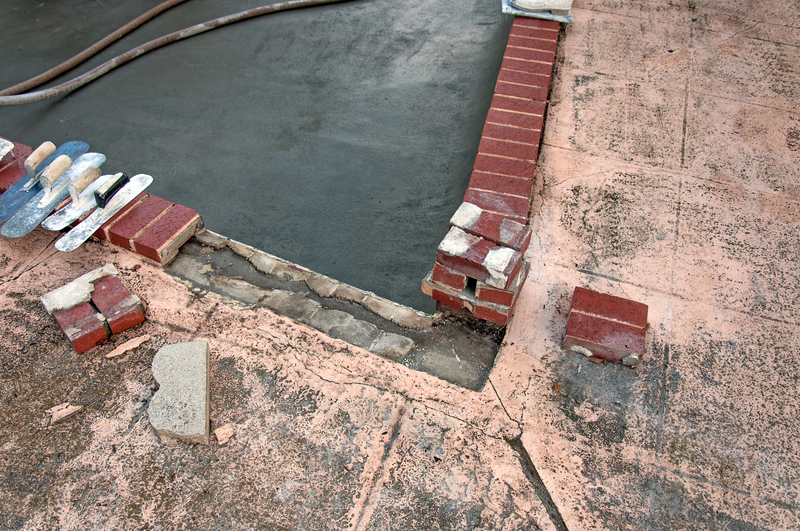 In case your pool is made of concrete, we will be able to thoroughly inspect it and mark the areas that require renovations. However, we can also refurbish the entire pool as per your demands. Our technicians will conduct repairs on the concrete and give a perfect finishing touch with paint, tiles or any other material that you may need. We can seal leaks and also do underwater repairs on the pool to maintain water balance. Failure to replace the liners of your pool can have devastating effects on the longevity of the pool. By hiring our services, you can always have the liners replaced immediately to avoid inconvenience and unnecessary losses. We have a wide range of swimming pool liners that you can choose from based on how you want the pool to look. Our professionals can replace all kinds of liners for your pool to ensure that it is designed to your demands. Even if you have a concrete pool but need a change of liners, we can still deliver a perfect work. The finishing inside and outside of your pool are likely to degenerate over time. We can help you to retain the elegance of the pool by replacing the finishes. Besides, we can also give the pool a new and different finishing that suits your preferences. Whether you need the finishing to be done using tiles, paint, decorations or any other kind of design, our professionals will be able to give the best touch. Before we apply the finish, we shall make sure that all repairs are effectively conducted so you continue enjoying swimming without any worries. In case you are planning to change the design of your pool, we can still offer the best refurbishment services. We can assist you in converting freeboard pools to deck-level pools with unmatched creativity. Our experts can also add or remove walk-in entry steps and other features of swimming pools to give a new and welcoming look. Whether you have a new pool or an old one that requires refurbishment, we have the right solutions for perfect transformation. We always accord every project a unique treatment based on how you want the work to be done. It is only from us that you can always get best swimming pool refurbishment services and equipment at once in order to save time and money. Besides, we operate round-the-clock and can effectively renovate all kinds of swimming pools within the shortest notice. Simply get in touch with us for professional swimming pool refurbishment Singapore.